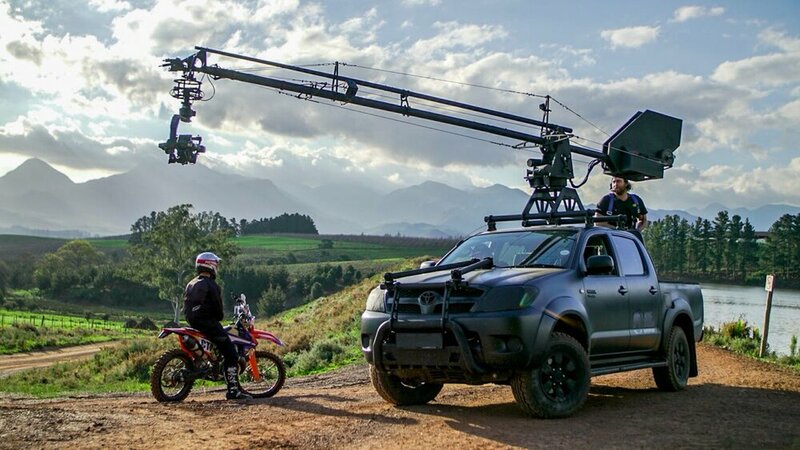 Our renowned Dragon Arm, is a custom-built, fully mechanized car jib. Due to its light, 4.27m long arm it’s able to move fast to capture incredibly dynamic shots at speeds up to 100km/hr. The system uses either the DJI Ronin 2 head, or exactly the same Movi-PRO setup as our drones, hence making it affordable and efficient to have both systems on set - easily interchangeable within minutes. The jib arm is controlled separately to the Ronin 2 or Movi Pro, giving you absolute control when shooting.